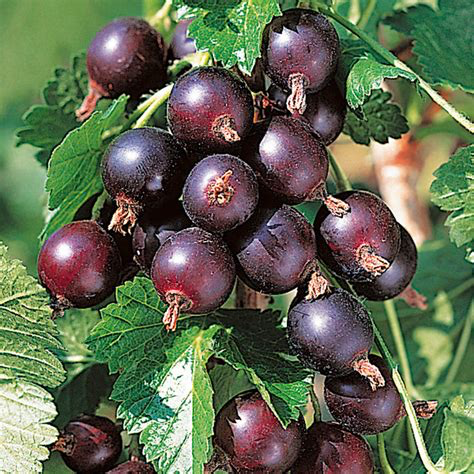 A hybrid of gooseberry and currant, the jostaberry displays hybrid vigour in its large growth habit. It’s thornless, will grow in any soil, and has no disease problems. The berries taste like a cross between gooseberries and currants, as you would expect, and can be eaten raw or made into pies or preserves.